February is American Heart Month and that makes it the perfect time to talk about heart disease, which is currently the leading cause of death for both men and women in the United States. According to the Center for Disease Control and Prevention (the CDC), 1 in every 4 deaths in the United States is due to heart disease. 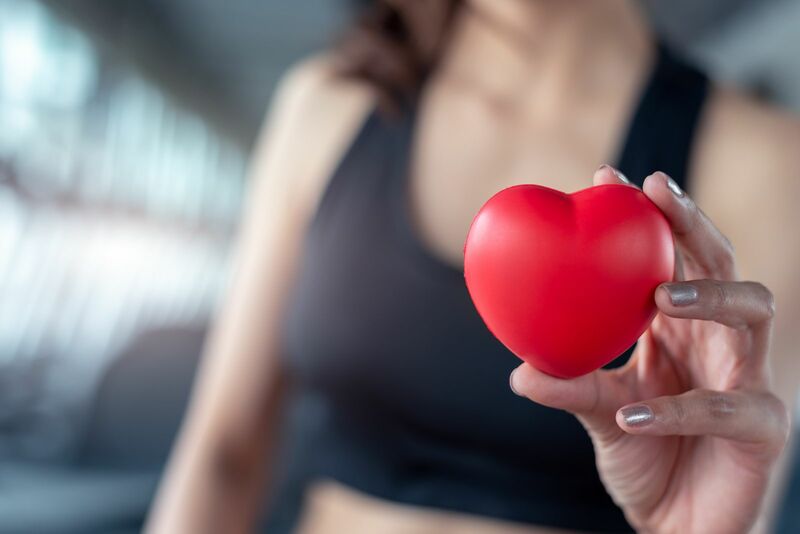 With staggering statistics like this, it’s clear more awareness and prevention is needed, because the risk of heart disease can be significantly decreased through leading a healthy lifestyle. Heart disease refers to several types of heart conditions, and the most popular type is coronary heart disease, which can restrict blood flow to the heart and cause a heart attack. The top three things that could put someone at risk of developing heart disease include smoking, high LDL cholesterol and high blood pressure. According to the CDC, half of all Americans have at least one of these risk factors. And unfortunately, heart disease can happen at any age and is starting to occur more and more in younger people — both men and women. What are the other risk factors for heart disease? How can you reduce your risk of heart disease? Take action and make small daily changes to your lifestyle for the better. It would be smart to make an appointment with your doctor to be screened for heart disease, so that you can work with your medical team if you’re in need of any medication. If you’re currently smoking, you’ll need to quit immediately. And if you’re consuming excessive alcohol, it’s time to scale it back (according to the CDC, no more than one drink a day for women, and no more than two drinks a day for men). You should also to take a good look at your diet. Diets high in trans fat, saturated fats and sodium present the greatest risk factors for heart disease. Instead, you strive to fill up your plate with mostly fruits and veggies, with smaller servings of lean proteins. Restaurant food is known for being quite high in sodium, so try packing your lunch and making more of your meals at home, where you can control the ingredients. It’s also important to find ways to manage your stress, which could include finding a healthy hobby, journaling, meditation, yoga or figuring out how to reduce your commitments and make space on your calendar. And finally, you’ll need to begin engaging in regular exercise and daily movement. It’s recommended that adults get at least 150 minutes of moderate physical activity a week, which is 30 minutes, most days of the week. Walking, jogging, swimming, group fitness classes, personal training sessions, team sports, cycling and dancing are great ways to get moving. And we’re partial to the personal training option, as the tailored and individual plans created just for you are made up of various movement patterns, including cardio, resistance, flexibility and more. At Fitness Together, we make sure you’re moving safely and effectively and getting in more than your weekly recommended movement to be healthy and create a fitter you. If you’d like support from a personal trainer on your quest to get healthy and reduce your risk of developing heart disease, reach out to a Fitness Together studio near you soon to get started today (https://fitnesstogether.com/personal-trainers-near-me).